Elijah, Hayley, and Klaus arrive in New Orleans and meet Vincent at their old house. He does a cleansing spell on Hope. It seems to work at first but then dead birds start falling from the sky and form a circle around her and Hayley. She asks Hayley if she hears the voice. Hayley says no. Hope tells her it’s chanting and says the word. Vincent tells them it’s an old creole dialect. It means The Hollow. He tells them that The Hollow is coming. 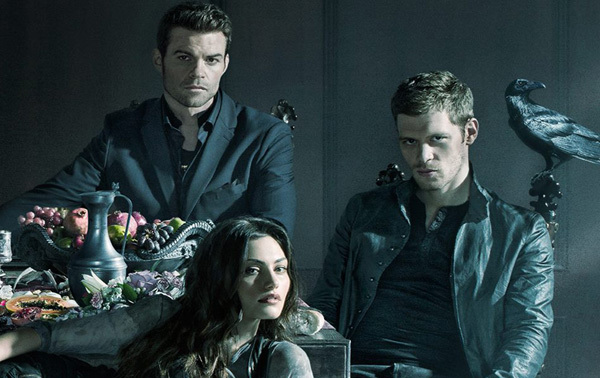 Klaus stays behind with Hope while Elijah and Hayley look for answers and a way to defeat what they are up against. Freya and Keelin head to New Orleans to help take care of Hope. They make a stop at Marcel’s to do some searching for the blood and possibly venom that Marcel has stockpiled. They find a safe and Keelin stays behind to break into it while Freya goes to check on Hope and see what she can do. Meanwhile, Hayley goes to talk to Marcel and Elijah visits Vincent. Vincent finds out Will is helping the people who are behind the dark magic, and he tries to help Will but doesn’t succeed. Will attacks him and Elijah and walks out. He and Elijah are able to track Will because Vincent put a tracking spell on Will before he left. Marcel and Hayley confront a group of witches. Hayley gets one of them to give her some information and she doesn’t like what she hears. The witch gives her the name of the person and the fact that they are a wolf like Hayley. She tells Hayley that Laura left and headed out to the bayou. Hayley and Marcel go to find her. When they find her and learn more about what they are dealing with and why the kids are being used, Laura kills herself before Hayley can do anything to stop her. Hope is having dreams about the kids and the blue light, and then Klaus is able to wake her up and they talk. Vincent and Elijah contact Marcel, Hayley, and Klaus. Freya stays with Hope while Klaus goes to meet the others. They split up again. Marcel and Klaus go one way and Vincent, Elijah, and Hayley another way to try and find the actual location where the followers are doing the ritual. They find the location and Klaus stabs one of the followers. Everyone jumps into the fight. Vincent, Hayley, and Elijah get the children and move them to safety, and then Klaus kills Will after he goes after Marcel. Klaus and Marcel get trapped in a ring of fire. Vincent realizes that The Hollow wanted them there so it can tap into their power and anchor itself to the mortal world. Elijah tries to get to them and is forced back. Vincent tells him and Hayley the only way to break the curse that has tied the children to the magic is to sacrifice one of the children. Hayley says there has to be another way. Vincent comes up with one that might work. He tells them that since the magic wanted them there maybe if they sacrifice Elijah and that should break the curse on the children. Elijah agrees to do it. They start the spell and Hayley stakes Elijah when Vincent tells her to do it. It works but it’s too late for Klaus and Marcel. They have been taken over by the dark magic. Hope knows it’s not over. She dreamed about her father and saw his eyes turn blue like the blue light. Marcel also knows something isn’t right. Next week’s episode marked by The Hollow’s dark magic, Klaus and Marcel experience the symptoms of a malevolent haunting. Hayley and Elijah head out to speak with Mary.